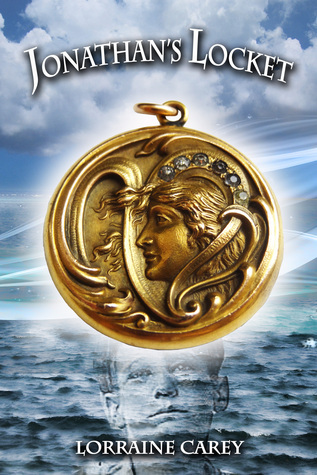 “Jonathan’s Locket” by Lorraine Carey is a beautiful cross between historical fiction and fantasy, connecting the story of an orphan in 1794 and another boy, 200 years later. The location of Grand Cayman inspires stories of early explorers, shipping adventures, pirates and treasures but Carey brings a little more substance to the story by showing the hardship for a little boy who just wants to know who his mother is, and stows himself away in one of the ships to find out. While Jonathan’s story is heart wrenching, Brandon brings fun and the sense of adventure into the novel; he and the ‘mystical sea turtle’. A great ghost story with two wonderful teenage characters from different centuries this is a lovely story, seemingly aimed at a younger audience but very appealing to this rather matured reader. Two centuries later strange sightings have been reported of ghost ships, screams and eerie lights off the east end of Grand Cayman. Brandon Wallace, a troubled teen seems to acquire a strange affliction and begins to have bizarre encounters from the sea where he befriends a mystical sea turtle who holds the secrets to the mysterious sightings as he plunges into the world of the paranormal . Here he is compelled to embark on a dangerous journey, risking his life to uncover the dark secret of Jonathan’s death. This task proves to be even more dangerous when one of Brandon’s closest friends has other plans for him. Buy Links for her other Books. In behalf of Lorraine many many thanks DeAnn! Sadly she has technical problems today leaving a personal thank you, so here it is coming from me. Lots of love!